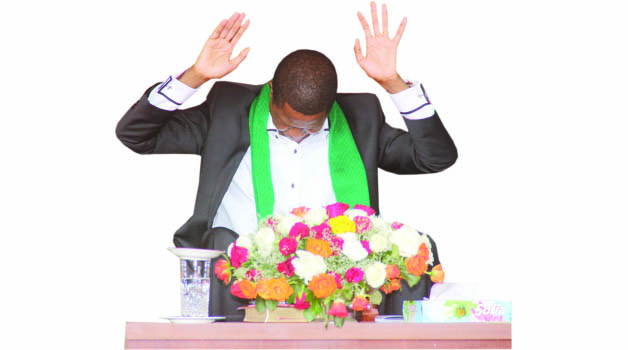 PRESIDENT Edgar Lungu has urged Zambians to take today’s National Day of Prayer and Fasting seriously as it is about reconciliation and forgiveness while seeking the face of God. President Lungu who will be joining the prayer event in Kitwe today said this on arrival at the Simon Mwansa Kapwepwe International Airport in Ndola yesterday. Mr Lungu said despite the day being chosen and dedicated by a politician, it should be seen as an opportunity to dedicate the country to God. He asked for forgiveness from those that did not value the opportunity provided by the holiday to connect with God in prayer and to seek Divine indulgence in the nation’s affairs. “I want to emphasize to those of you that are Christians and believe in God that if it was a mistake for me to declare October, 18 as a day for seeking the face of God please forgive me. I was just used by God, I did not know what I was doing. I would urge you to kneel before God and you will see what God will do in your life,” he said. President Lungu assured that there was nothing political about the event and ‘it will not be politicised”. “It is not about me or PF; it’s about God. Without Him we wouldn’t be here, so please come in numbers so that we worship our. Don’t believe those that don’t believe in God, don’t doubt and mock God,” he said. 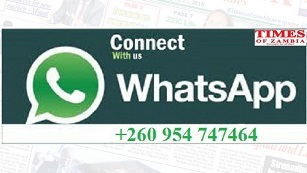 Religious Affairs Minister Godfridah Sumaili has called on Zambians from every run of life take part in today’s commemoration of the National Day of Prayer and Fasting and focus on repentance and reconciliation of the nation. Rev Sumaili said invitations had been sent to all opposition political parties and that it would be sad if the statements were made to discourage people from attending the prayers which she described as the starting point for reconciling the country. She said Zambia being a Christian nation, President Edgar Lungu felt that the way to make the declaration a reality was for all well meaning Zambians to participate in the day of prayer and fasting. Speaking during a Patriotic Front interactive forum in Ndola yesterday, Rev Sumaili said the country had continued to enjoy peace and God’s grace as evidenced by the various developmental projects being implemented with support from other countries. Rev Sumaili said there was need to run the country, according to the Biblical values that were also reflected in the Constitution. Rev Sumaili said her ministry existed partly to promote good morals and values. One of the values that needed to be emphasised was patriotism which required that all Zambians spoke good about the nation. She described as disappointing the habit of some leaders to talk ill of their country to the outside world. She said President Lungu was serious and committed to the fight against corruption and ensuring a corruption-free administration, a drive that needed concerted effort from all Zambians.